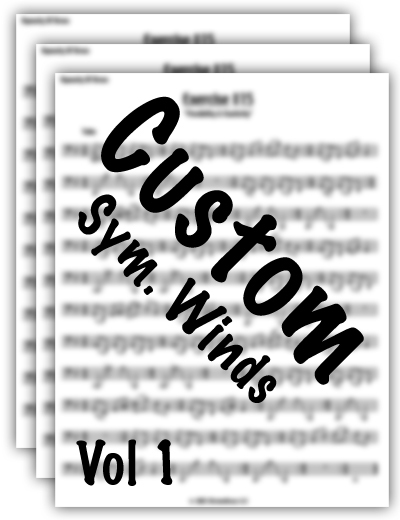 Wind Ensemble Directors will love the Symphonic Winds supplement to Wayne's standard setting technique program titled: Custom Band Warm Up Volume 1: Technique Essentials. This supplement has been created with the serious Wind Ensemble Director in mind. Have your symphonic or marching band benefit from the revolutionary approach of this "State of the Art Technique Program." It'll quickly transform the beginning of your rehearsal into an efficient, quick-paced learning experience for all your students.